Dr. Marc knew from an early age that he wanted to work in a field that would help people achieve excellent health and wellness. He graduated from Wilfred Laurier University with a Bachelor of Science degree with specialization in Kinesiology and Physical Education. Following his undergraduate studies, he attended the Canadian Memorial Chiropractic College where he graduated with a Doctor of Chiropractic with clinical honours. Dr. Marc focuses on determining and addressing the root cause of the dysfunction and pain, instead of solely addressing the symptoms. He creates individualized treatment plans for each of his patients. He utilizes a variety of manual therapy techniques including spinal manipulative therapy, Active Release Technique (ART), joint mobilization, kinesiotaping, corrective exercise and lifestyle advice to ensure that his patients obtain the best possible results. 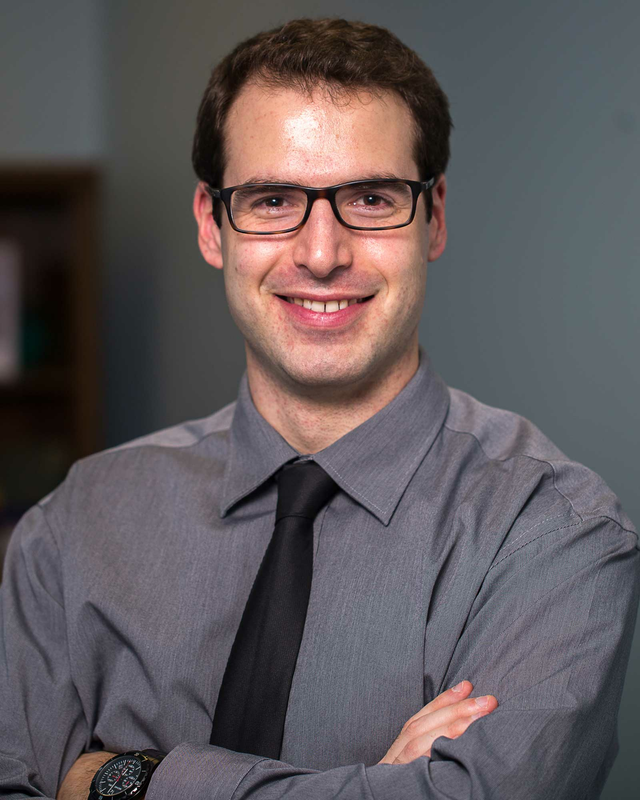 Dr. Marc is also a certified Medical Acupuncture Provider having completed the Contemporary Medical Acupuncture program at McMaster University. During his free time, Dr. Marc enjoys being physically active, whether it be playing a sport, working out or going on a hike. He enjoys playing soccer and has played competitively throughout his life. In addition, he has coached numerous local children’s and adult soccer teams. His love for the sport of soccer took him to the Ukraine for the European Championship in 2012 and to Brazil for the FIFA World Cup in 2014. Dr. Marc is passionate about helping his patients experience pain relief and achieving optimal health and wellness.